Ridgway presented her work and conducted a workshop for students of the Research Master in Cultural Analysis programme. Alternative spaces, web spaces, artists associations, and networks have thrived in recent years, encouraging and enabling resistant forms of art, political and social positions. 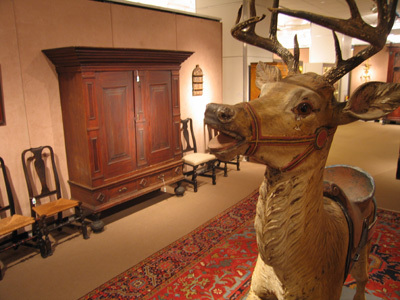 What are the means to determine value and is there any general standard with which to work? 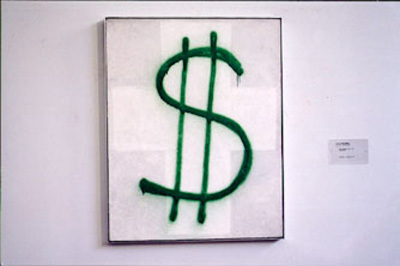 If ‘money tends to be represented as an invisible potency because of its capacity to turn into many other things… its hidden capacity for action.’ (Graeber, 2001, p. 114), how are cultural currencies cultivated? This presentation considered the production of art and its use value in the twenty-first century, along with its relationship between new media and the Internet, cultural translation witihin the art world and wealth distribution models. Course guidelines: Key concepts will be explored in relation to a range of cultural instances such as museums and international art exhibitions, documentary, installation, contemporary art and the globalization of culture and politics. The inherently interdisciplinary nature of the subject requires the use of a diversified range of theoretical sources. While the presentations by tutors and seminar discussions will predominantly deal with case-studies from the visual domain, students are invited to research other areas of contemporary culture in which relations between the local and the global are seen to be at work. This site-specific context of a former chocolate factory was the place of a series of screenings by various artists. 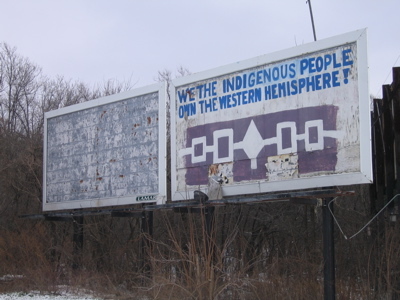 In this video the topics addressed deal with land and sovereignty. The value of the currency, in this case embodied by the possession of land, is continuously increased and decreased over time. 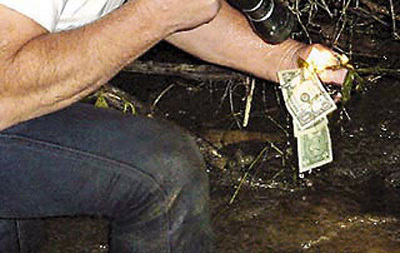 Land here is currency as well as the material salt and is determined by gains and losses. In this case, time is the length of the video, reflected here through the action/ritual by a performer replacing an area of the projection (light) with salt. 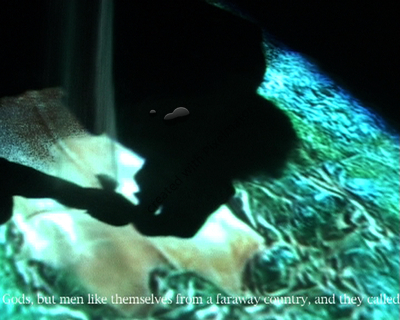 This crystalizes the image, so to speak, allowing it to be seen; the video becomes visible. The video is Native New Yorkers, a one-minute loop showing a time-lapse of an entire piece of deerskin (as a metaphor for land) being cut up, unravelling. This workshop which addressed the acquisition of the Gate Foundation within the Van Abbe Museum and its present state and use value by exploring the cultural significance of its history, its accomplishment and ambition of its collection. Taking the Gate as a case study, as an ‘interpretative field of material’, we further contextualised this within the framework of alternative ‘autonomous insitutions’ (Iniva, Haus der Kulturen der Welt) whose mission is to reinstate internationalism, world culture, while working towards inclusion. Part of the workshop was devoted to attempting to unpack some of the terminology associated with ‘cultural diversity’ used in policymaking over the years within the cultural sector, to question the autonomy of these institutions in relationship to areas of ‘positive discrimination’ as well as the ‘top down’ financing that supports such cultural initiatives. These questions were conceived together with Sarat Maharaj and are being further discussed and disseminated via a wiki. More soon. 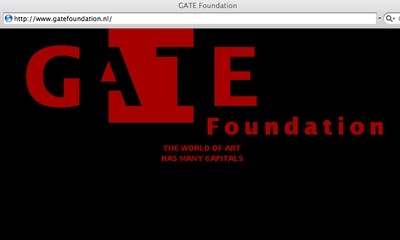 This is the last publication of the Gate Foundation. The publication catalogues the exhibition A Short History of Dutch Video Art, which was curated by Sebastian Lopez and organized by the Gate Foundation. With its 224 pages, this bilingual (English and Spanish) publication has already been shown in 7 museums around the world. It contains 340 colour illustrations and descriptions of the works as well as comprehensive videographies, thereby providing the most complete overview of the artist’s achievements. 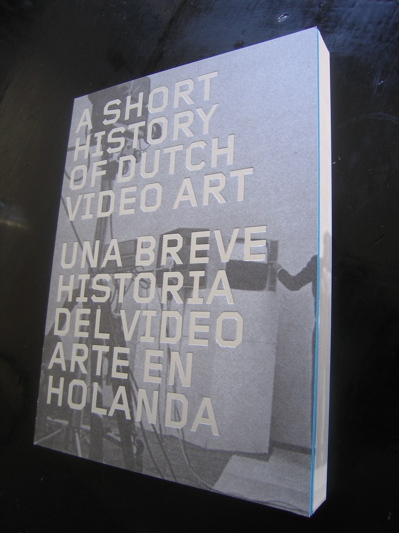 The publication also includes an essay by Sebastian Lopez, reflecting on Dutch artistic and cultural dynamics around the new medium of video introduced in the 1970s. Official launch and symposium at Casco Projects in Utrecht, the Netherlands. Jan Verwoert, Frans-Willem Korsten, Marina Grzinic. 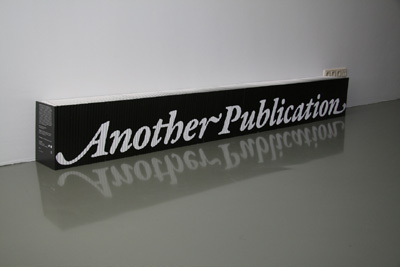 Another Publication is a book project around the manifold perspectives on otherness. Twelve writers were invited to contribute a text on this subject, each writing a preface to a possible book around the ‘other.’ Together, these prefaces trace different identifications and applications of the term, such as collaboration, love, aesthetics, institutional critique and globalisation. In addition, 82 artists were invited to submit a cover for this book and they, in turn, invited another to contribute an image for a cover. Each compilation of texts is framed by one single cover image, each in an edition of seven. Once again, many thanks to the writers and all of the 164 image contributors for their images! Borders, Boundaries & Liminal Spaces was originally conceived to be an extension of our concept of the new media center. It also seemed logical to have a conference about liminal spaces inside of one. Truly, the conference afforded us an opportunity to interrogate the space more thoroughly. 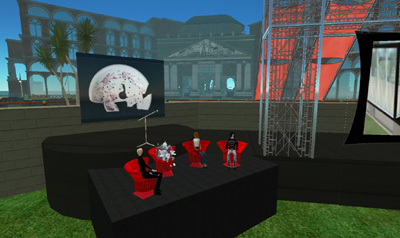 Aside from the specifics of the topics covered (remains, the body from within and without, present and future, and the manipulation of the system) the conference was particularly enlightening with respect to the engine of Second Life and communication within that medium. The session was intended to look at the nature of what is left behind by a culture, people or civilization through the lens of an archaeologist, architect and artist. Laura manages to find a new discipline in the archaeology of the virtual, but one that is different in its essential character but not in its essence. Archaeology will still be about putting together incomplete pieces but the pieces will now be recorded bits of data. Brad focuses on the crossing of the threshold into the synthetic environment. He chooses to consider what is left behind in the transition. Renée considers history through visualization and story telling. She reconstructs the metaphoric narrative based on the bits and bobbs of text that refer to events. She also shows us a cultural perspective based entirely within a familar land. The CADRE Laboratory for New Media, an interdisciplinary academic and research program dedicated to the experimental use of information technology and art will publish Switch 23, ‘Function//Border//Dysfunction’, featuring the ‘Borders, Boundaries & Liminal Spaces’ conference. Bags and more bags? any extras? Do you have a section of your kitchen or home that is dedicated to stowing these excess plastic shopping bags as they accumulate? We do, and many of our friends do as well. 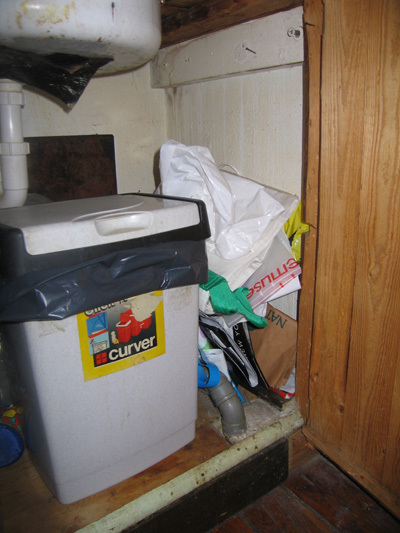 We have begun to collect photos of people’s bag collections in their homes which we will turn into a public archive. We have some photos of bag accumulations found so far posted on our blog’s photo gallery. Please send us a photograph of your storage recepticle or collection of excess plastic shopping bags. 300 dpi photos are required for print quality. 3″ X 5″ would be fine. If the file is too large to attach, feel free to send us files using free services like YouSendit. We’ll also take donations of unwanted plastic bags that we can use for these projects. If you have a bunch of bags and are located in Berlin or Chicago, let us know and we can get them from you. Ridgway presented her visual work along with sound tracks from her archive of interviews of people with Dutch surnames. Short presentations, some featuring audio-visual and performance elements, addressing questions including: How can we interpret the landscape of the past through the environment of the present? What was the catalyst for panelists’ involvement with the project? What are the reasons to pursue cross-disciplinary work, and how does promoting dialogue among artists, scientists, and historians enhance professional investigations or creative endeavors? The New Netherland Project was established under the sponsorship of the New York State Library and the Holland Society of New York. Its primary objective is to complete the transcription, translation, and publication of all Dutch documents in New York repositories relating to the seventeenth-century colony of New Netherland. This unique resource has already proven invaluable to scholars in a wide variety of disciplines. It also serves to enhance awareness of the major Dutch contributions to America over the centuries and the strong connections between the two nations. The Project is supported by the New York State Library, the National Endowment for the Humanities, and the New Netherland Institute.